Room 3 currently has wonderful students from Year 0 to 2. Mrs Anderson and Miss McKenzie teach in Room 3 and we also have fantastic support from Mrs Kennedy. 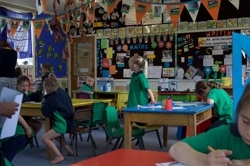 In our junior room we support a young child as they make their transition into school life here at Heddon Bush. 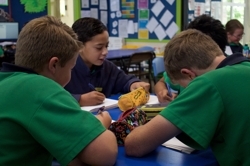 We value the individuality of each child and use this as a starting point to meet their learning needs. The early years of school life build a foundation for future learning. In Room 3 the children form a positive attitude to learning and acquire important skills in literacy and numeracy as they work and play. 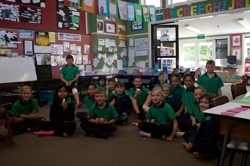 The children in room 3 have fun and enjoy their time at school as they learn. We are a fantastic and talented bunch of Year 3, 4 and 5 children. We have two teachers; Mrs Dunn who teaches on a Monday, Tuesday, Wednesday and Miss McKenzie who teaches on Thursday and Friday. Mrs Hubber and Mrs Kennedy are our wonderful teacher aides who help us out at various times during the day as well. In Room 2 we have fun, enjoy learning and we work very hard to achieve our learning goals. We are friendly, caring and we like to help each other out and work as a team. High expectations are set for both learning and behaviour so it really is a great place to learn. We are an energetic and practical bunch of students from Year 6 to Year 8. Both inside and outside the classroom we are a varied bunch with interests ranging from motorbikes to horses and sports to art and craft. We love learning in the classroom, especially anything that is hands on! We enjoy taking on leadership roles in the school and strive to do the best we can in everything that we do. You have a brain in your head, and feet in your shoes. You can steer yourself in any direction you choose.